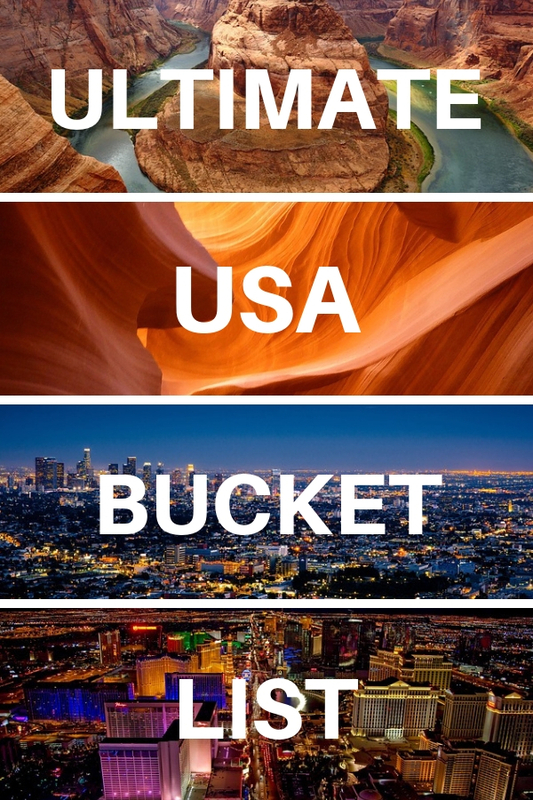 The United States is a large country so even those of us that live here have many bucket list places in the US that we have yet to visit. 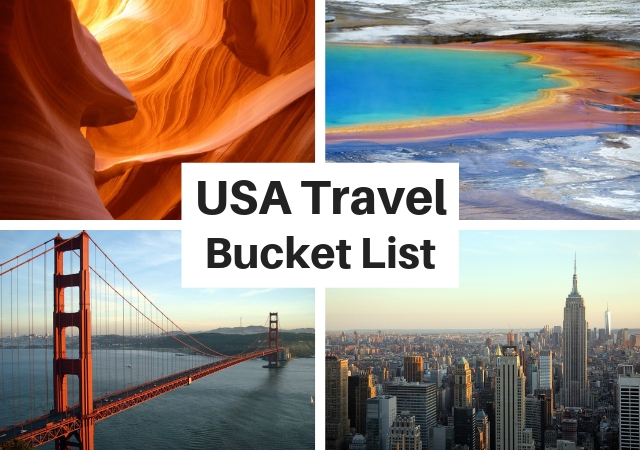 Whether you live in the US and want to explore more of this amazing country or visiting the US for the first time and need help planning your trip, I’ve created this epic guide containing over 100 incredible things to see and do in the United States which are perfect for any USA Travel Bucket List. Some of these must see places I have already visited and recommend and the rest are places that look so beautiful or sound so interesting that I have added them to my personal America travel bucket list. 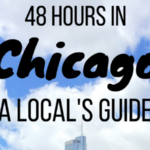 So read on if you are looking for inspiration and ideas for your own US travel bucket list. See Mendenhall Glacier, a 13-mile long glacier near Juneau. Take photos at Antelope Canyon. This sandstone slot canyon is made up of two sections (Upper and Lower) and is one of the most instagrammable places in the United States. 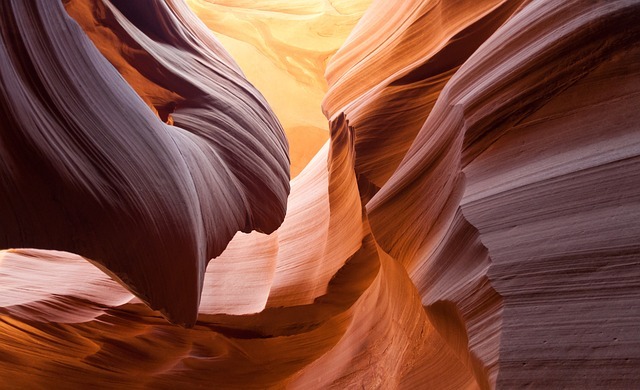 Antelope Canyon is located on Navajo protected land and is only accessible via guided tours. Click here for more information about tours. Visit the Grand Canyon National Park. The famous Grand Canyon is at the top of most American bucket lists. There are many ways to visit the Grand Canyon including hiking, bike tours, mule rides, or by helicopter. 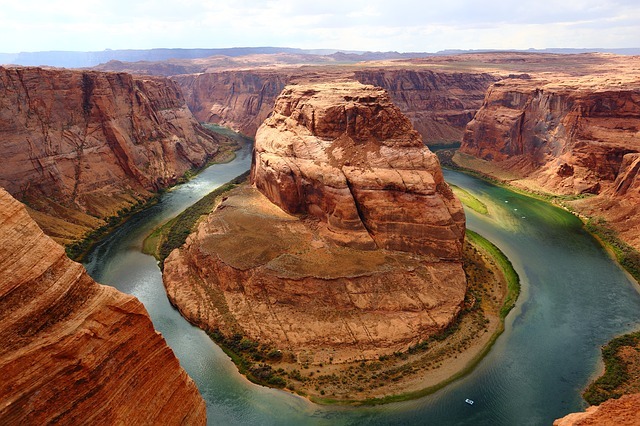 See Horseshoe Bend, the beautiful natural horseshoe-shaped curve in the Colorado River. This picture perfect view only requires an easy short 3/4 mile hike each way. Hike to the Wave. Getting a hiking permit is very difficult since only 20 people are allowed each day. Find out more about how to get a permit and other logistics in this guide to Coyote Buttes North (home to the Wave) here. See White Pocket. This lesser known remote natural wonder is a great alternative if you cannot get a permit to the Wave. You need a 4 wheel drive high clearance vehicle or else it is best to book a tour. Visit the Arizona desert town of Sedona. Visit the city of Flagstaff, surrounded by mountains, desert and pine forests. It is a gateway to the San Francisco Peaks which is home to Arizona’s tallest mountain (Humphreys Peak). Visit the Painted Desert, famous for its striking bands of colors. Visit the Petrified Forest National Park. Hunt for diamonds at Crater of Diamonds State Park. This state park is one of the only places in the world where the public can search for real diamonds – anything you find is yours to keep! Explore San Francisco. Walking across the Golden Gate Bridge and visiting Alcatraz are at the top of my San Francisco bucket list. Go wine tasting at Napa Valley and Sonoma in Northern California. 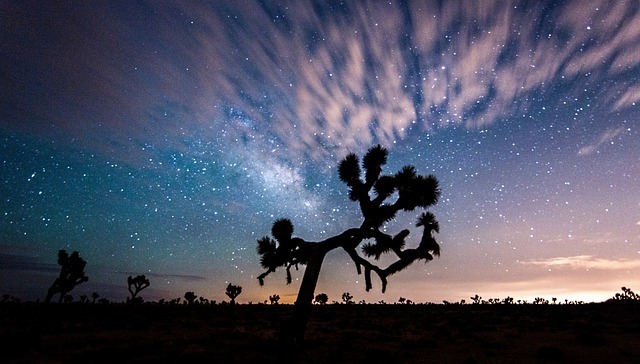 Explore Joshua Tree National Park. Visit The Sequoia & Kings Canyon national parks. These adjacent parks are home to the world’s largest trees. See giant California redwoods at Redwood National Park. Explore Death Valley National Park. Take a road trip on the Pacific Coast Highway. 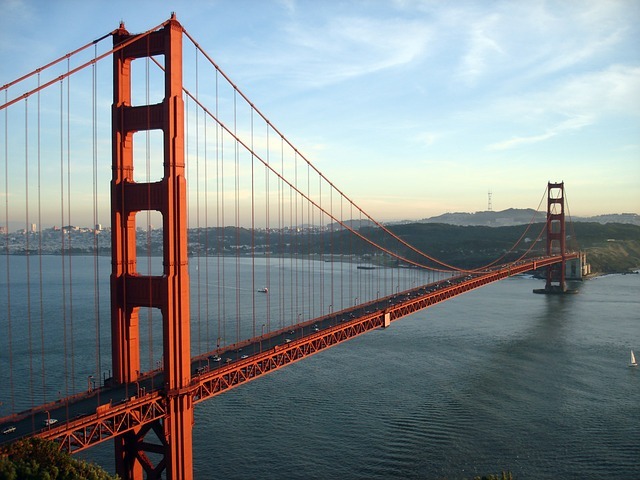 In addition to San Francisco and Los Angeles, some of the best stops along the way include Big Sur, Carmel-by-the-Sea, Monterey, San Luis Obispo, Santa Cruz, San Simeon, Malibu, Santa Monica, Santa Barbara, Newport Beach and Laguna Beach. Explore Rocky Mountain National Park. Visit the Garden of the Gods, a free park full of red rock formations with great hiking. Drive to the top of Pikes Peak. See Black Canyon of the Gunnison National Park. Several scenic drives in the park offer great views with relatively easy access. Visit the Maroon Bells, a reflective lake and two giant snow-striped mountaintops and most photographed place in Colorado. See the highest sand dunes in North America at Great Sand Dunes National Park. See Pueblo cliff dwellings in Mesa Verde National Park. Visit Miami. Highlights include Miami Beach, Wynwood Walls and the Little Havana neighborhood. One of the busiest time to visit other than spring break is during Art Basel in December. Road trip the Florida Keys. Best way to get there is to drive over the scenic Overseas Highway (one of the best American road trips). Swim with manatees in Crystal River. See wildlife at Everglades National Park, the largest designated sub-tropical wilderness reserve on the North American continent. Have fun at Walt Disney World and Universal Studios in Orlando. Visit the beautiful historic city of Savannah. Seeing the beautiful Na Pali Coast in Kauai is a must on any Hawaii bucket list. You cannot visit by car. The entire Kalalau Trail is 11 miles long but you can hike the first couple of miles in a day or half a day. 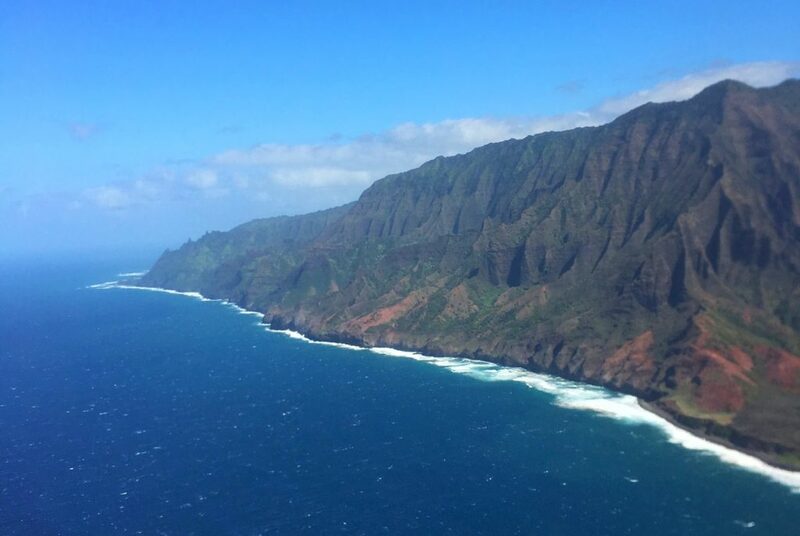 If hiking is not your thing, you can also view the Napali coast from helicopter tour or boat tour. 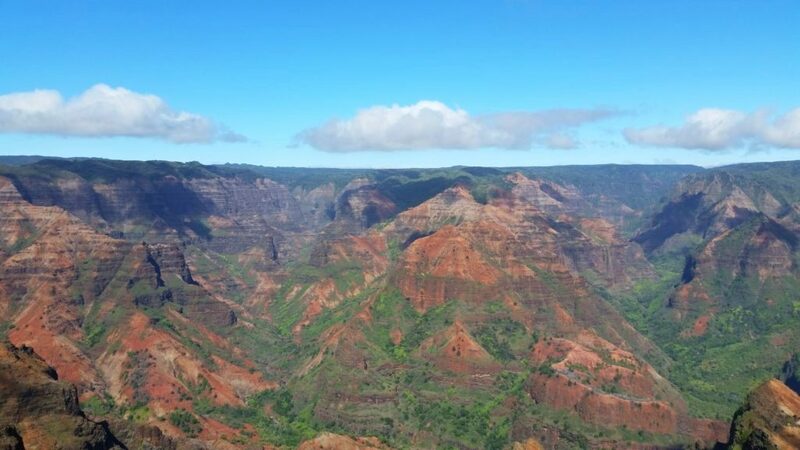 See the Waimea Canyon in Kauai, a large canyon known as the Grand Canyon of the Pacific. There are hiking trails but you can enjoy great views from two lookout points. Drive the Road to Hana in Maui. Hike to the top at Diamond Head State Monument in Oahu for great views of Honolulu. The 1.5-2 hours round trip hike is not too challenging but go as early as possible in the morning because it gets hot! Explore Chicago. Maybe I’m biased because it is my hometown, but Chicago is one of the best cities to visit in the US. 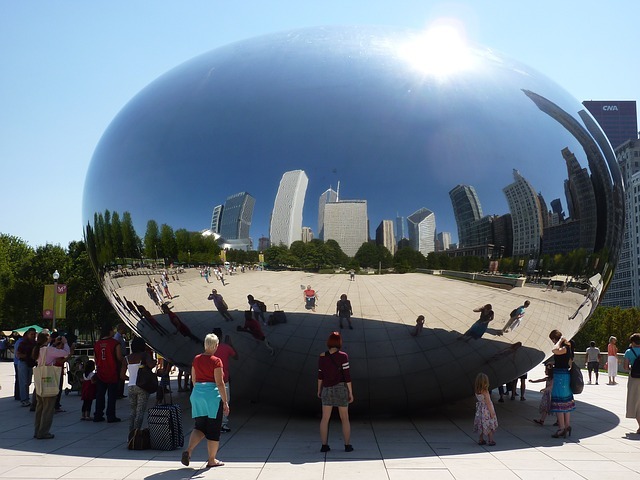 There are a lot of bucket list worthy things to do in Chicago: watch a baseball game at historic Wrigley Field, take a selfie in front of the Bean at Millennium Park, take in the amazing views from The Skydeck at Willis Tower and/or 360 CHICAGO, take an architecture cruise on the Chicago River and more! Eat BBQ at the famous Joe’s Kansas City Bar-B-Que in Kansas City. Visit Louisville during the Kentucky Derby. Journey on the Kentucky Bourbon Trail. Explore New Orleans. Visit NOLA during Mardi Gras is a bucket list worthy experience. Explore Acadia National Park, a great spot to see the fall foliage in New England. Visit Baltimore. See the historic waterfront neighborhood of Fells Point and make sure to try Maryland’s famous crab cakes. Visit Boston. Some Boston must dos include walking the Freedom Trail, watching a game at Fenway Park and celebrating St. Patrick’s Day. Learn about the history of the witch trials at Salem. Visit Martha’s Vineyard, a tiny island which is a popular summer vacation destination for wealthy East Coast residents. Visit Minneapolis-St Paul. Don’t miss the Minnehaha Regional Park (and the stunning Minnehaha Falls). Explore the beautiful North Shore of Lake Superior. Enjoy the view from the top of the Gateway Arch in St. Louis. 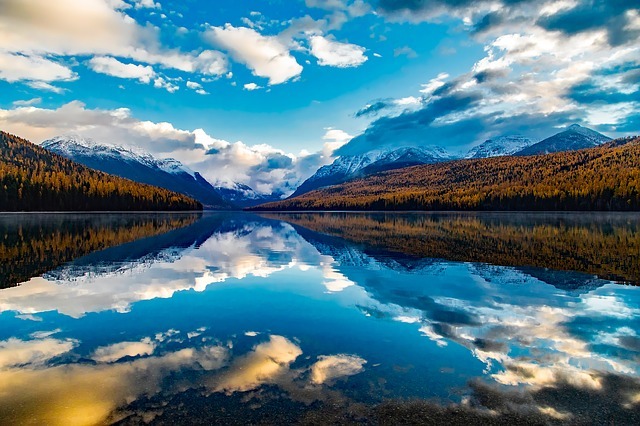 Explore the beautiful Glacier National Park. One of highlights of the park is driving the famous Going-To-The-Sun Road. Witness the Annual Sandhill Crane Migration in the spring. See Carhedge. This quirky man made attraction built from 38 vintage American cars covered in gray spray paint is a replica of England’s famous Stonehenge. Visit Toadstool Geologic Park (referred to as the “badlands of Nebraska”) to see unusual rock formations and fossils. Visit Hoover Dam, a concrete arch-gravity dam on the border between Arizona and Nevada. Photograph the Seven Magic Mountains, a temporary art exhibition located in the desert outside of Las Vegas, featuring thirty to thirty-five-foot high day glow totems comprised of painted, locally-sourced boulders. 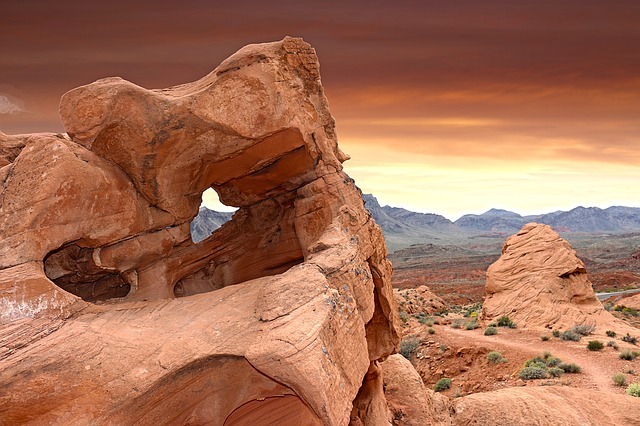 Explore the Valley of Fire State Park, full of red rock formations just an hour outside of Vegas. It is also home to the Fire Wave, a smaller version of the famous Wave in Utah/Arizona. Admire colorful rock formations at Red Rock Canyon National Conservation Area on several hiking trails or on a 13-mile scenic drive. Go gambling in Atlantic City, one of the most popular cities in the Jersey Shore. Hang out at Liberty State Park and enjoy great views of Manhattan and the Statue of Liberty. Visit Albuquerque during the Albuquerque International Balloon Fiesta, the largest balloon festival in the world. Visit White Sands National Monument. See Niagara Falls from the US side. Explore the Outer Banks islands. Visit Theodore Roosevelt National Park. Visit Portland, a city that likes to keep it weird. Explore the Columbia River Gorge. 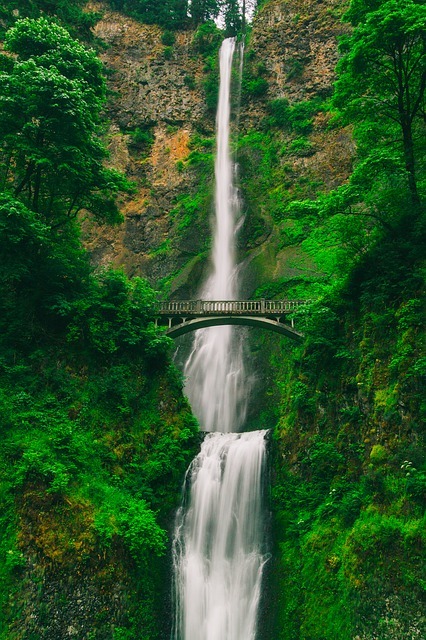 Don’t miss the beautiful Multnomah Falls just a 30 minute drive outside of Portland. See Crater Lake National Park. 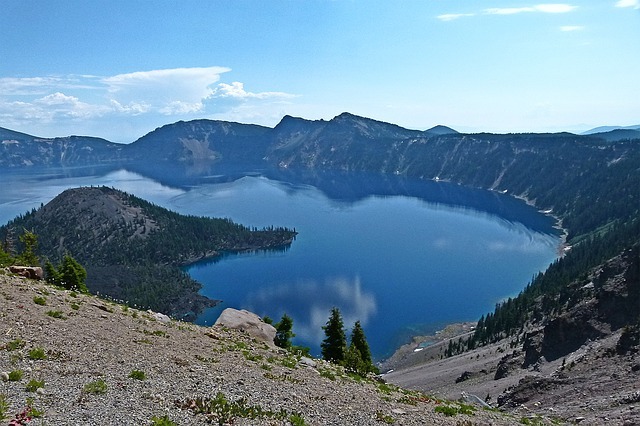 The highlight is the vivid blue Crater Lake (America’s deepest lake). Visit Philadelphia. Visit Independence Hall, the Liberty Bell, the Eastern State Penitentiary and have a Philly cheesesteak. Visit the charming city of Charleston. Explore Badlands National Park known for its spires and pinnacles. See Mount Rushmore National Memorial. This sculpture carved into the granite face of Mount Rushmore features the heads of four U.S. presidents. Visit Memphis. Highlights include Graceland (home of Elvis Presley), Beale Street and the Duck March at the Peabody Hotel. Explore Great Smoky Mountains National Park, America’s most visited national park and a UNESCO world heritage site which straddles the border between Tennessee and North Carolina. The Appalachian Trail passes through the Great Smoky Mountains for more than 71 miles. Visit San Antonio. The Alamo and the River Walk are the top attractions. See the bluebonnets in bloom every spring in Texas Hill Country. Explore Big Bend National Park. Visit the small quirky town of Marfa. Stop at Cadillac Ranch, a public art installation of half-buried Cadillacs on Route 66. 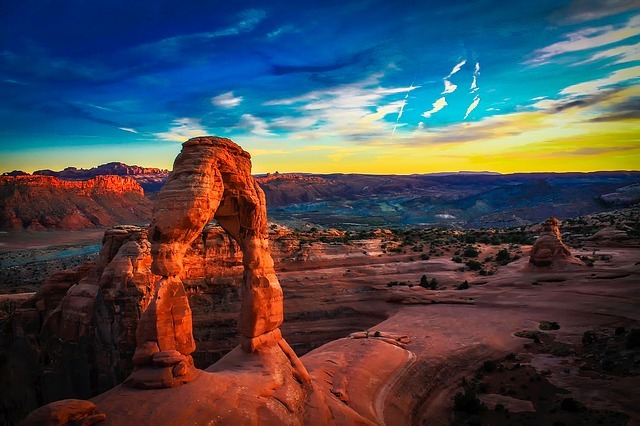 Explore Arches National Park, home to the highest density of natural arches anywhere in the world. 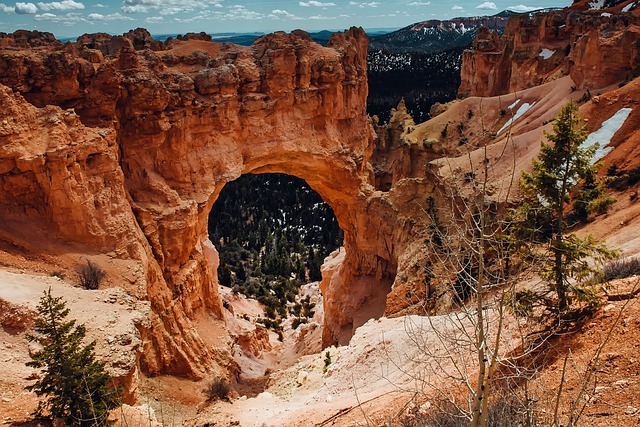 Explore Bryce Canyon National Park, known for crimson-colored hoodoos (spire-shaped rock formations). Explore Goblin Valley State Park. Take fun perspective pictures at the Bonneville Salt Flats. Explore Mount Rainier National Park. Explore North Cascades National Park. Exploring the capital of the United States of America is a must on any USA bucket list. Points of interest include Capitol Building, Lincoln Memorial, Washington Monument and National Mall. The city is especially beautiful (but crowded) during the annual National Cherry Blossom Festival in the spring. Explore the Apostle Islands and the sea caves on Lake Superior. 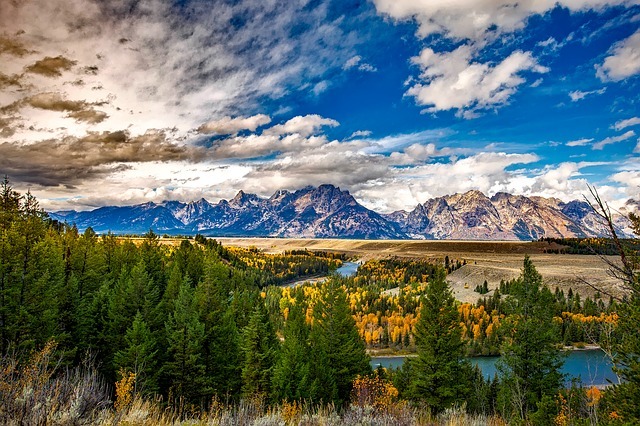 Explore Yellowstone National Park. Full of mountains, waterfalls, hot springs, geysers and wildlife, it is America’s first national park and also a UNESCO World Heritage Site. 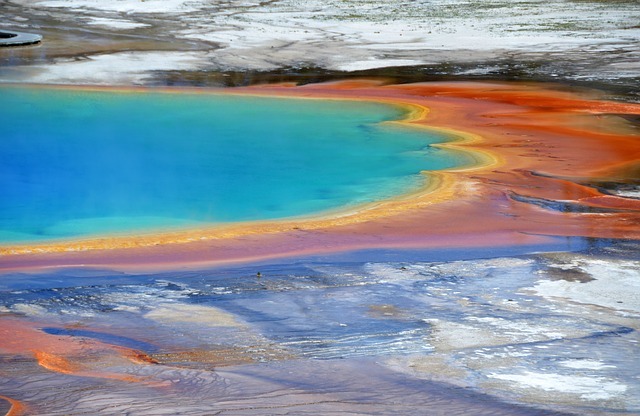 Highlights include Grand Prismatic Spring (a large hot spring is known for its rainbow effect) and Old Faithful. Visit Devils Tower National Monument, a 870-foot stone monument and the center of many Indian religious ceremonies. So there you have it – the ultimate USA travel bucket list. If there is an experience or place I should include let me know in the comments below! Disclaimer: This article contains affiliate links. This means that if you make a booking after clicking on these links, I may earn a small commission (at no additional cost to you). There are so many places in the USA that I have yet to visit. I love that you put together this list by state, it’s a very easy reference to have. It’s embarrassing that I have been to so many places around the world, but haven’t been to 2 of the 3 places in your Wisconsin list (it is the state I grew up in!). I love ticking things off bucket lists. US is such a diverse country and going through the places you recommended I have realized I still have so much more to see in this amazing country. So far I checked some in California (L.A., Disneyland and a road trip along the Pacific Coast), Florida (Miami Beach, Florida Keys, Everglades), Louisiana (yes NOLA during Mardi Gras is madness, loved it!! ), and New York City! You got me wanting to go again and check out so many other places! This is a fabulous list! I don’t think we will be venturing too far out of North America and the Caribbean this year, so this post will be very helpful for planning some USA travels. Going to Chicago and Las Vegas later this year so will definitely refer back. Absolutely shows how much there is in the US of A to explore. I love the national parks there and that all the states have something unique to offer. 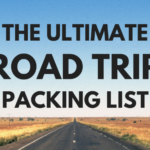 Love this list – and definitely will come back to it to check a few of those places.